"The study shows both shortcomings in study design and in the presentation of the collected data. This means that the conclusions drawn by the authors are not supported by the available data. "Preliminary evidence indicates Roundup and NK603, individually and in combination, may increase tumor incidence and mortality. Follow-up long-term carcinogenicity studies, using test animal strains and numbers of animals that assure robust conclusions, are required to confirm/refute this preliminary evidence. The best known and most controversial GMO-related studies are those by French scientist Gilles-Eric Séralini, professor of molecular biology at the University of Caen, focusing on GMOs and the herbicide glyphosate. The most contentiously received and influential was a 2012 study of GMO corn and glyphosate published in a prominent journal and accompanied by pictures of rats with large tumors. It was widely circulated by anti-GMO activists who claimed that the two-year study was the first long-term independent research on GMOs and glyphosate, which was not accurate. Scientists and regulatory agencies around the world subsequently evaluated and criticized its methodology, and the journal was challenged for publishing it. The study was retracted the following year, but was later republished in a non peer-reviewed ‘predatory’ journal. His anti-GMO research was also criticized because it was funded, in part, by the alternative health and organic industries. With few exceptions, the scientific community has dismissed the body of Séralini’s work. In addition, four long-term studies funded by European governments and conducted by independent researchers show conclusively that Séralini’s work linking GMO corn and glyphosate to cancer is seriously flawed. 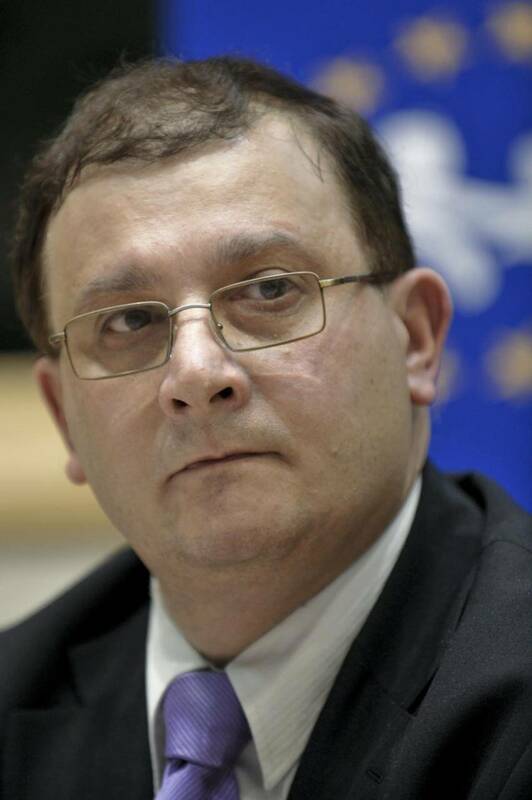 Some anti-GMO scientists have voiced support for Séralini’s work, alleging a conspiracy between regulators and agro-chemical corporations, and arguing that the journal retraction and scathing reviews by independent regulatory agencies resulted from a pro-GMO, anti-Séralini campaign. They say this case demonstrates how the biotech industry interferes in the scientific process. Séralini is now a featured spokesperson for advocacy groups opposed to crop biotechnology. Gilles-Eric Séralini, a professor of molecular biology at the University of Caen, is a self-acknowledged critic of GMO crops and herbicides – such as glyphosate — often paired with them. In 2007, Séralini published a peer-reviewed Greenpeace-funded study that concluded there were health risks with GMO foods. The independent European Food Safety Authority and the French Commission du Génie Biomoléculaire (AFBV) found the study flawed and disputed its conclusions. A 2011 article by the Séralini lab reviewed 19 published animal-feeding studies, as well as data from animal-feeding studies submitted by industry for regulatory approval, concluding that GMO foods caused liver and kidney effects. 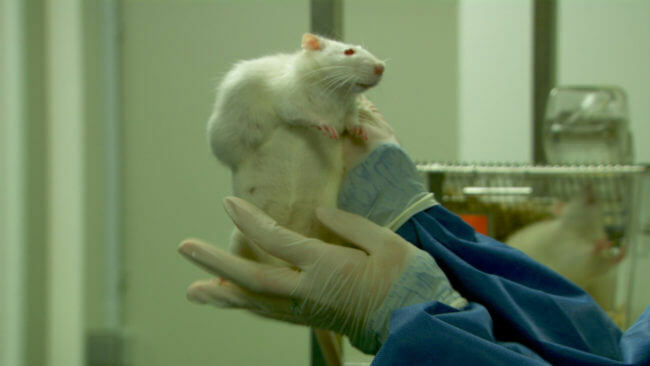 The release in September 2012 of yet another study by Séralini and his team sent shockwaves throughout the scientific community because it was published in a major journal, Food and Chemical Toxicology, and was accompanied by dramatic photos of tumor-afflicted rats. Seralini released a book and film promoting his findings on the day the article appeared, and he and his supporters launched a massive worldwide public relations effort the same day. This new study is destined to raise more questions than it answers. But at this point, a few things are clear. It is outrageous and shocking that this is the first long-term feeding study, even though this genetically engineered corn has been on the market for nearly 20 years. In fact, by 2012 there were dozens of long-term studies of GMO crops (see here and here) and glyphosate and many more since, with none showing that either GMOs or glyphosate pose serious health risks. The Séralini study touched off an international furor, widely known as the Séralini Affair. Kenya, an African pioneer in crop biotechnology, issued an indefinite ban on all GM crops, citing the study, and other African governments slowed research or put it on hold. Séralini’s research was immediately criticized by prominent scientists (as reported here and here), who took issue with its methodology and lack of supporting data. Among the complaints was the choice of rats, a type known for its propensity to develop mammary tumors. Regulatory agencies around the world reviewed and rejected the study’s methodology and conclusions. A joint report by three Canadian regulatory agencies identified “significant shortcomings in the study design, implementation and reporting.” Six French national academies (of Agriculture, Medicine, Pharmacy, Science, Technology and Veterinarians) issued a joint statement – a rare event in French science– condemning the study and the journal that published it. Similar conclusions were reached by the French HCB and the French National Agency for Food Safety, the Vlaams Instituut voor Biotechnologie, the Technical University of Denmark, Food Standards Australia New Zealand, the Brazilian National Technical Commission on Biosafety and the European Food Safety Authority. It was also noted that the French scientist’s results were far off from the reality of a world where GMO corn had by then been widely consumed by humans since 1996. In 2014, University of California-Davis Department of Animal Science geneticist Alison Van Eenennaam reviewed 29 years of livestock productivity and health data from both before and after the introduction of genetically engineered animal feed—an estimated 100 billion animals. She found no evidence that health issues escalated after 1996. Globally, food-producing animals consume 70-90 percent of genetically engineered crop biomass, mostly corn and soybean, with not one documented case of health issues or increases in cancer tumors by animals or humans who consume the animals or eat dairy-related products. No study has revealed any differences in the nutritional profile of animal products derived from GMO-fed animals. Because DNA and protein are normal components of the diet that are digested, there are no detectable or reliably quantifiable traces of GMO components in milk, meat, and eggs following consumption of GMO feed. Instead of performing new experiments, in which more control animals were included, the animals were randomised and treated in an unbiased and blinded fashion, the results analysed with robust statistics, and the full dataset provided in the supplementary material, the authors have repackaged the same data as before, but have found a journal with lower standards for publication. The dose is absurd. They gave the animals the equivalent of what could be in the spray tank including the surfactants and the a.i. (active ingredients). If glyphosate or its AMPA metabolite ever end up in a food, it is at extremely low concentrations and never with the surfactant. Unless you were a farmer or gardener who routinely drinks from the spray tank over 8 days, this study is meaningless. Efforts towards safer agricultural practices and better control of environmental contaminants have to be made in order to feed laboratory rodents with healthy diets. This will not only improve the reliability of toxicity tests, but also the value of animal feeding trials in biomedical research. There are several limitations with the methodological approach used by the authors, including insufficient information about the test material and methodology used, incomplete reporting of the data, and inappropriate interpretation of legislation and results…In conclusion, no new scientific elements were provided that would impact on the validity of regulatory feeding tests in the EU. Séralini’s January 2016 paper purportedly showing that the first commercialized GMO corn in Europe, grown from 1997-2002, was “toxic to animals over the long term” was published in another pay-for-play journal, Scholarly Journal of Agriculture Science. It states that it “was not designed as a scientific experiment,” yet it concludes that GMO corn (which is no longer available in the European market) likely played a role in the poor health of dairy cows. As Séralini’s reputation soured over the years, he increasingly has turned to ideological allies to support his research and public speaking projects aimed at attacking biotechnology and the crop protection chemicals used in modern agriculture. Many of his financial and ideological ties to alternative food, health and farming associations and corporations came to light after the publication of a 2016 paper in an open source journal that purported to demonstrate the protective effects of Digeodren, a homeopathic product made by Sevene Pharma, which pays Séralini to research atrazine and glyphosate risks. His research team included a former director from Sevene. This study claimed Digeodren can reverse the toxic effects of prolonged exposure to glyphosate. Critics took aim at the premise of the study, which is based on the contested results of Séralini’s discredited 2012 research. Others challenged the study’s controls and raised questions about the dosages used. A 2016 European Union-funded study showed that rats fed glyphosate-tolerant corn for a full year suffered no ill health effects. “The results obtained show that [GMO corn]….in the diet did not induce adverse effects,” the study authors wrote. 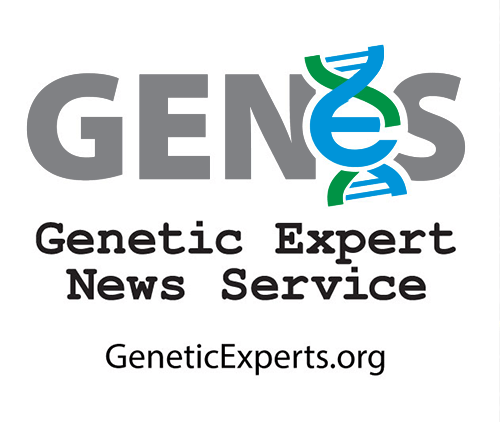 …[U]sing this experimental design, no biomarkers of adverse health effect could be attributed to the consumption of GMP [genetically modified plants] diets in comparison with the consumption of [non-GMO plants]. Gilles-Eric Séralini has become the most visible and arguably most notorious scientist associated with the global anti-GMO movement on the basis of numerous studies. The research group that he oversees, CRIIGEN (Committee of Independent Research and Information on Genetic Engineering), promotes and circulates articles and research that purport to show the dangers of the glyphosate herbicide and genetically engineered food. Much of this work, which often appears in scientifically marginal pay-for-play journals, has been widely criticized by other scientists and rejected by regulatory agencies around the world over the methodologies used and his selective presentation of data. Séralini’s supporters argue that he has been unfairly targeted by the agriculture industry and its boosters.